Guitar camp for adults! 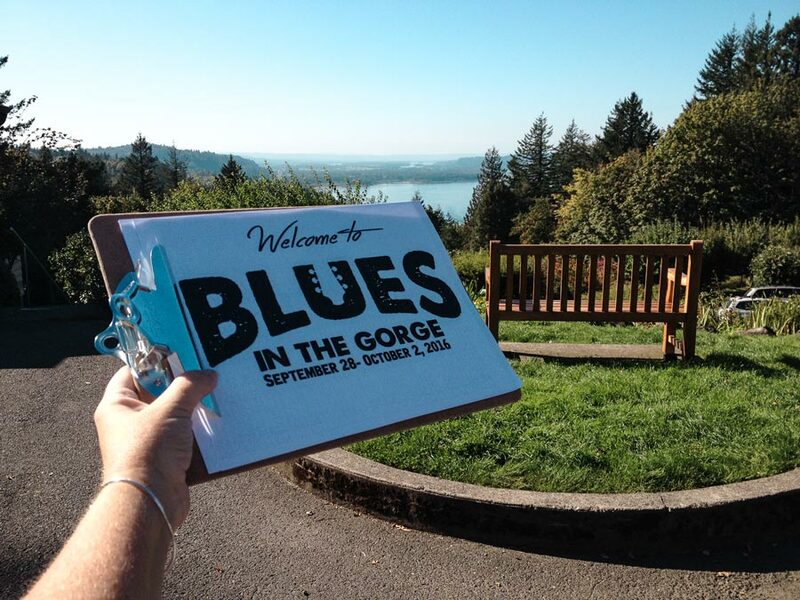 This is the fourth annual Gorge Acoustic Blues Camp presented and hosted by the Menucha Retreat & Conference Center. Immerse yourself in acoustic blues guitar for a long weekend with some of the world’s foremost and finest blues and fingerstyle guitarists. Participants can choose twelve classes with up to six from any one instructor/style you wish to concentrate on. There is at least one beginning level class each day. But make sure to register quickly, because space is limited to only 46 participants in order to provide each participant with plenty of instructor time and attention. GUY DAVIS is renowned for his songwriting, storytelling and performing at which he has excelled at for over twenty years. Influenced by the likes of Blind Willie McTell, Big Bill Broonzy, Lightning Hopkins, and Sonny Terry, he has spent his musical life carrying his message of the blues around the world, earning him the title “An Ambassador of the Blues”. As an instructor he wants to bring to both beginners and intermediate students the basics so that they can go into a jam session, and create more licks out of the ones they know, along with his philosophy that you can treat these songs as recombinant DNA, you can own it and you can create something new with it. ORVILLE JOHNSON can sing the blues, pick the guitar and dobro and just about anything with strings on it, write you a song and tell you a story and then teach you how to do it, too. He’s been doing it all his life since he grew up next to the Mississippi river and now, years later, after traveling the world and spreading the joy of music far and wide, he’s still at it. He’s a singer, player, songwriter, author, and record producer. He loves every aspect of music and wants to let you know about it. VALERIE TURNER is a native New Yorker with southern roots in Virginia and Georgia who plays finger style Country Blues guitar, specializing in the Piedmont style of fingerpicking. Her eclectic repertoire was heavily influenced by the late John Cephas, a world renowned Country Blues musician in the Piedmont style, and her guitar playing is reminiscent of traditional blues greats like Mississippi John Hurt, Etta Baker, and Elizabeth Cotten. The Acoustic Blues Guitar Camp is co-sponsored by the Cascade Blues Association and will be held from September 30 through October 4. Menucha retreat & Conference Center is located at 38711 Historic Columbia River Highway, in Corbett, OR. For more information about the Acoustic Guitar Camp, please visit the website Menucha.org. On Sunday, October 1, a special staff concert will be held at 7:00 pm at the Corbett Grange Hall, 37493 NE Grange Hall Road, in Corbett. This Acoustic Blues Masters Concert is free for the Blues In The Gorge participants and open to the public with tickets available in advance through the Menucha website for $15.00 or $20.00 at the door.